Well, I nearly giggled myself to death on that one. At least, I can imagine a first grader doing so. 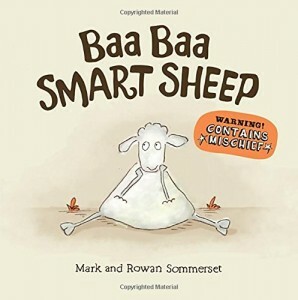 When Quirky Turkey encounters bored Baa Baa Smart Sheep, Baa Baa looks for a way to alleviate the boredom. So Baa Baa convinces Quirky Turkey to eat a pile of poo, which may or may not be smarty tablets. Warning: the little twists at the end will probably cause this to be favorite bedtime reading. As the cover says, this contains mischief. The illustrations are adorable and supplement the text well. The language is a little beyond first grade, but the context and repetition lend themselves to independent reading on the second try, meaning reinforced literacy skills. These New Zealanders have a winner here. Ever try to please everybody? It doesn’t work, as Groundhog finds out. He does his job, and he does it well. He sees his shadow, calls for six more weeks of winter amid thanks from some animals and complaints from others. Throughout the following year, the animals try to reward, or bribe him into “seeing” what they want him to see next year. They let him play on their baseball team, bring him treats and keep him company. Deep inside his heart he knows spring will come when it is supposed to come regardless of what his friends want. So, he returns to being his true self, reporting only what he sees. A perfect ending follows as groundhog becomes the most important person on the baseball team. The one person who will truthfully call ‘em like he sees ‘em. Literacy core curriculum standards like sequencing, character traits, dialogue, and main idea can be strengthened while using this text. 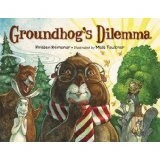 It is a fun introduction to the phenomena of Groundhog’s Day and the coming of spring. In this adorable picture book with equally adorable illustrations, first graders learn what it’s like to face your worst fears and to be brave in facing them. It all depends on what name you put on it. For all his blustering, small kitten Max doesn’t know what he has gotten himself into by saying he will chase mice. He is young and cute and has never encountered a mouse. He’s so cute, he gets dressed up with bows. And he doesn’t want to be cute. He wants to be brave. He discovered: no mice in tin cans, flies are not mice, goldfish are not mice, birds are not mice, elephants are not mice, and even mice are not mice. At least, that’s what mice will tell you. Mice are monsters and monsters are mice. So, mice are scary and Max should chase monsters instead. 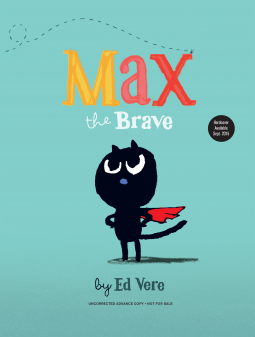 Whether read independently or as a read aloud bedtime book, kids will see that bravery (and chasing mice) is not always desirable. Assessing the situation, however, is always a good idea. Small kittens should avoid large teeth and even large sneezes. The illustrations, alone, are laugh out loud funny. 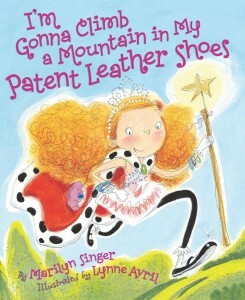 Determination and attitude rule the day for the heroine of this cute little rhyming book. Sadie loves her clothes almost as much as she loves camping with her family. The title gives a good feel for the theme of the book. On the way to the campsite, her sparkly new suitcase takes up too much space to suit her brother. Later, she says she’s “helping pitch our pup tent in my fancy ruffled pants.” She does many other activities in favorite clothes. The colorful and sparkling illustrations go right along with Sadie’s seemingly boundless energy, holding the reader’s attention. Bigfoot, magic wands of gold, silver crowns. They’re all here. What more could the reader want? 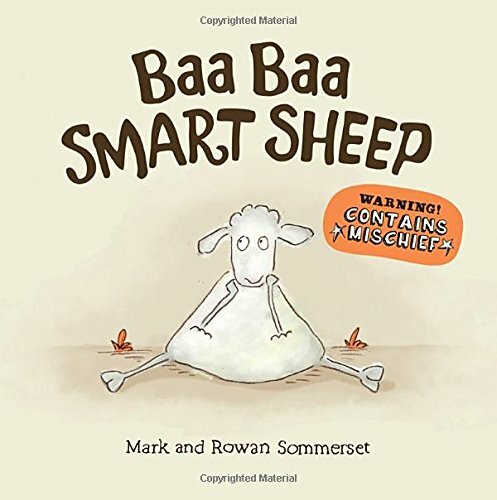 Fun rhymes highlight the many literacy skills enhanced by the text. First graders should be able to tackle the text on their own. Or just get the story from the pictures. This also a fun read aloud. Who wouldn’t love a little dragon? Especially one who gets sooty just phooshing around. 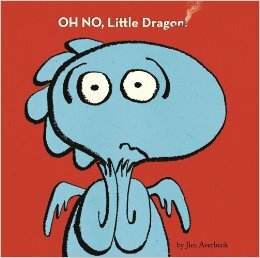 Jim Averbeck continues to delight with this gem about a dirty little dragon whose mother makes him wash off his soot. While in the tub, he can’t resist setting his toy boat on fire, causing a tremendous flood. The water puts out his spark. He sets out on a quest to relight the spark in his dragon heart. Rubbing his tummy doesn’t work. Warm clothing doesn’t work. Even chili peppers don’t work. Only his mother’s love can re-ignite the spark in his heart. The illustrations are simple yet priceless. Little Dragon is proud of his phooshing. He is annoyed at having to take a bath. He is mortified when he discovers he’s lost his spark. He is pleased to get his spark back. He is apprehensive when he gets sooty again. And his solution is unexpectedly fun. The author’s website, http://www.jimaverbeckbooks.com/, contains a tremendous amount of information about the author and his books. The publisher also highlights the author at http://authors.simonandschuster.com/Jim-Averbeck/65519797. Title: OH NO, Little Dragon! In this tale of two brotherly dogs, the author captures the beauty of routine and of knowing your best friend well. 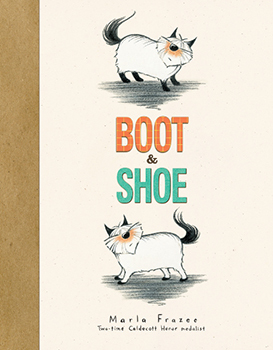 Boot and Shoe are dogs who live in the same house and have the same routine, but one likes to spend his day on the front porch, while the other naps on the back porch. A pesky squirrel decides to interrupt their happy equilibrium one day with a lot of chattering and running around. They chase him here and there until the squirrel gets bored. Naturally, the brothers end up at the wrong end of the house and cannot find their companion. The search goes on until both dogs have to pee on the same tree and find each other again, causing a kind of reset to their routine. First graders can handle most of the language on their own, increasing their literacy skills, and will be delighted with the vivid illustrations that give many clues to the action, adding to their comprehension. They will certainly understand the ideas of frustration and wanting to be with a treasured friend. 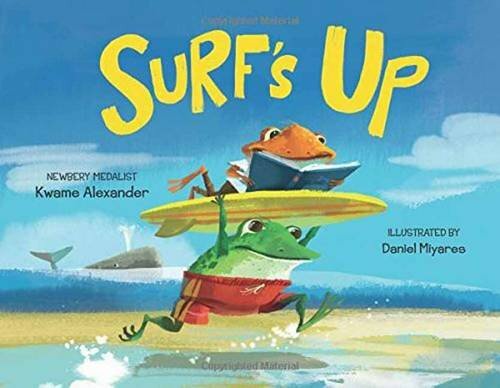 This gem received numerous starred reviews and appeared on many reading lists, including the 2012 ABC Best Books for Children and the 2012 Kirkus Best Children’s Books. The author’s website, www.marlafrazee.com, provides a wealth of information, including interviews and podcasts. A baby chick in a killdeer nest cracks, pushes out and explores her surroundings. The story is told in the first person so the chick, and the young reader will both be excited about new wobbly legs, reflections in water and how very big the world seems to be. Beautiful illustrations complement the story and lead perfectly through the sequence of the story. It is a beautiful addition to the springtime stories that exist. However, this will introduce young children to a particular bird that they can listen for around their own environments. The rhyme of the story works well and will tickle young listeners. The story also has a gentle rolling rhythm that is a delight to the ears. There is humor, surprise and opportunities for young children to suggest what comes next in the story. For all these reasons, it is a great book for teaching literacy skills and fulfilling the requirements of the common core. There is a double-page spread that would be excellent for introducing and/or reinforcing mapping skills where the little chick first experiments with running. It also opens the door to further research questions for the children to ask. What will the killdeer bird eat? How long will she stay in the nest? In what parts of the country are killdeer birds found? These answers can be sought in the library or on-line. It might even cause the class, or individual child, to learn about other kinds of birds. It could grow into a life-long love of bird watching and bird feeding. 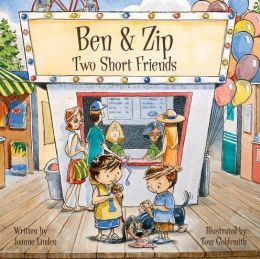 Ben is a typical kid on a typical boardwalk with his parents and his best friend, Zip. When the weather becomes threatening, Ben is in a panic wondering what happened to Zip. He begins at kid level and only sees knees – fat, bony, bumpy, and scratched. He climbs to bench level to be confronted by bellies – hairy, jelly, and hanging down. Standing on a picnic table, Ben can see a lot of hair – red, yellow, long, and swirly. He climbs the lifeguard tower only to discover everyone has taken shelter. But he does spot the place where he last saw Zip – a popcorn stand – and runs to the area. Zip, who the reader finds out is a dachshund, has been caught on a post. Ben releases him and waits for the weather to clear. First graders will love the fact that many of the illustrations are from their perspective. 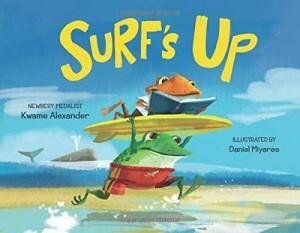 This would be great as a read aloud because all the kids can help look for Zip. In fact, the reader will be driven to go back to the beginning and find all the places Ben, Zip, and each of his parents appear. 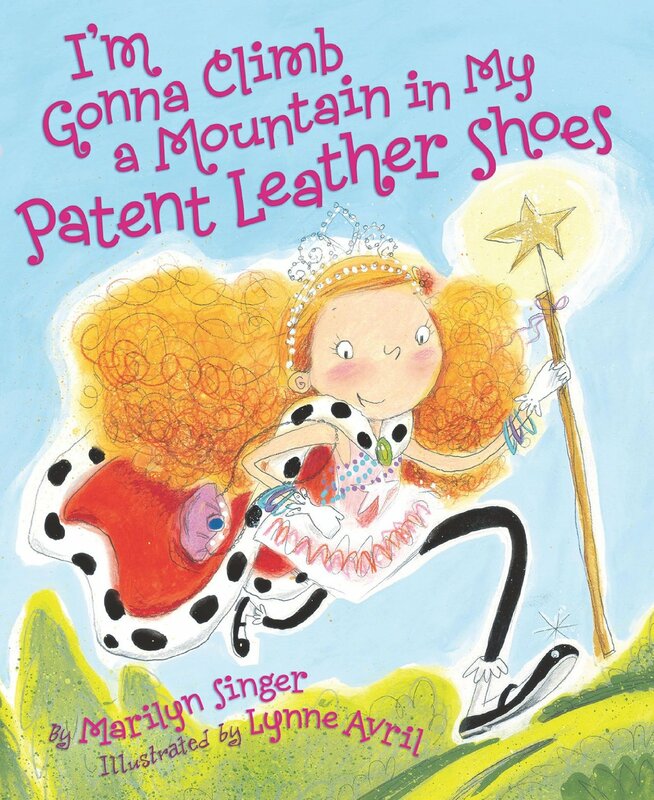 The illustrations are detailed and lively and do a great job of involving the reader. Along with literacy skills, this book is good for teaching observation skills. What’s more fun than a small, furry animal, especially one that is a bit feisty and confronts animals much larger than it is? It’s doubtful that many first graders in the U.S. have heard of wombats, so this is their opportunity to learn a little about them. Apparently, wombats sleep, scratch, and eat grass and carrots. This particular wombat has never heard of Christmas, nor encountered a reindeer, and he must compete with the reindeer for his carrots. He takes a nap on Santa’s sleigh and thus ends up traveling with the jolly man and eight not so tiny reindeer. It’s not a problem as long as the carrots keep coming, though. Carrots are everywhere and easy to find with the reindeer’s help. Even the snowman has a carrot – for a nose. And the toucan’s nose – or bill – at least looks like a carrot. Many of the illustrations are laugh out loud funny. 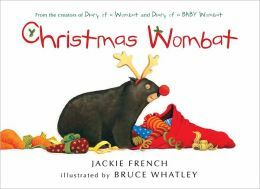 The cover picture, a wombat with a red clown nose and antlers, standing amid gifts and a bag is perfect. The wombat thinks a chimney is a wombat hole and enters eagerly. Then, he needs help getting back up. The picture of the wombat standing nose-to-nose with a polar bear is priceless. The publisher’s website, www.hmhbooks.com, has many resources for parents and educators. 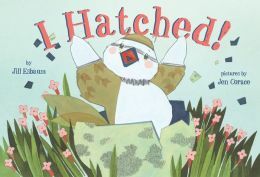 The author’s website, www.jackiefrench.com, has sections called “how to get kids reading” and “farming with wild animals,” both of which could be very helpful for developing reading activities. There’s no doubt a book this funny and easy to follow can increase a reader’s comprehension.